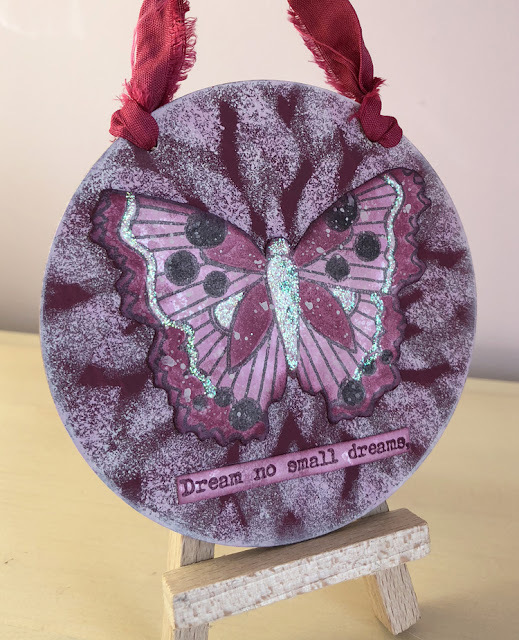 Hi everyone, it's Nikki from Addicted to Art with you today, and I'd like to share with you some MDF circles I painted using the new range of PaperArtsy paint colours by Courtney Franich partnered with Tracy Scott stamps and stencils. 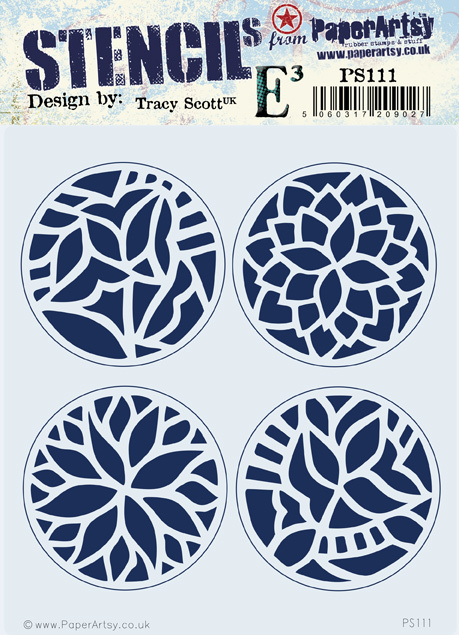 When I saw Tracy's new stencils I thought they would be a perfect match for the lovely range of new paints. I love how these paints are paired up - making it easy to combine them for some simple light and dark. I firstly worked with the larger stencil - PA Stencil and Mask 110 by Tracy (PS110) and paint colours Mulled Wine and Blah-Mange with a little Eggshell for a third colour. 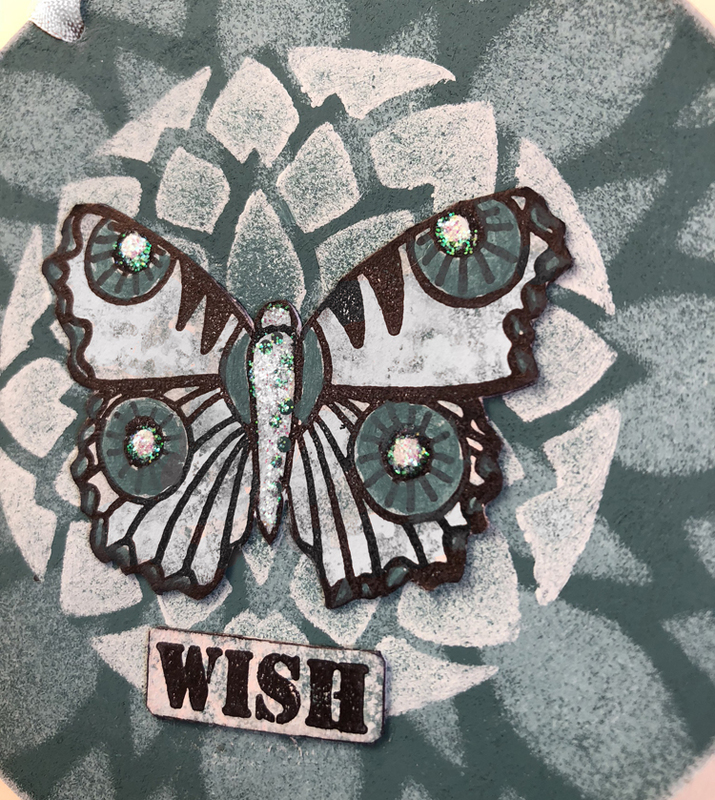 I started with the darker Mulled Wine and sponged one of the lighter colours through the stencil before shifting it slightly and repeating with the second lighter colour. 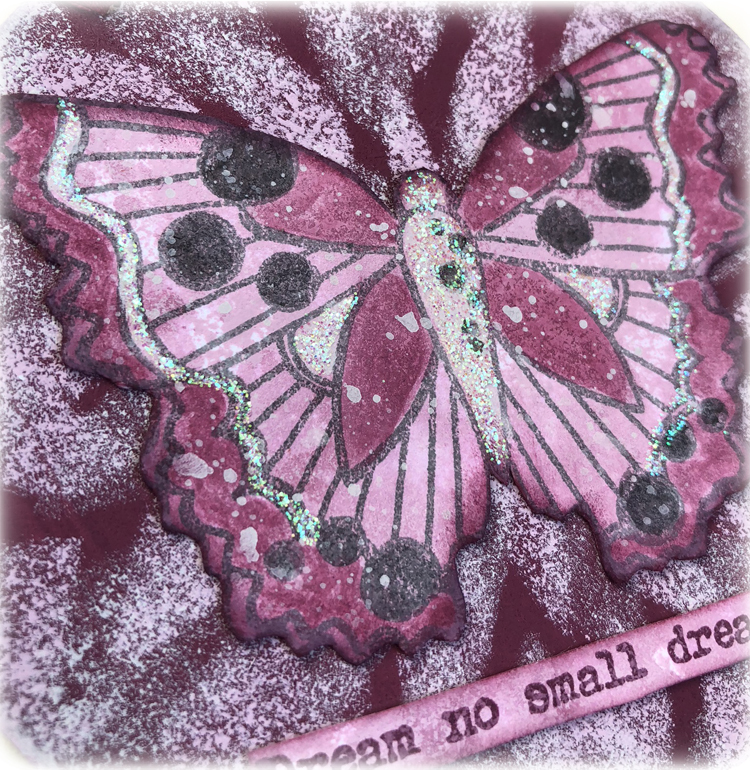 Leftover paint was spritzed with a little water and some Smoothy Stamping Card swept through it to create a background for my stamped butterfly. 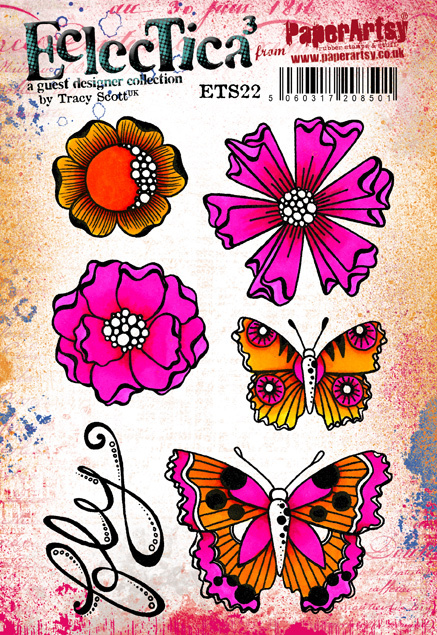 Having stamped in Black Archival Ink I then added more paints to highlight the wonderful pattern on the butterfly from ETS22 (stockist list here). I had to add some stickles for a little sparkle! 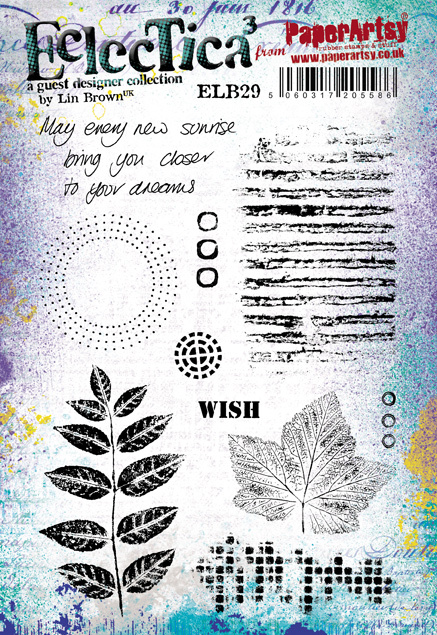 The quote was taken from one of Alison Bomber's stamp sets - EAB07. 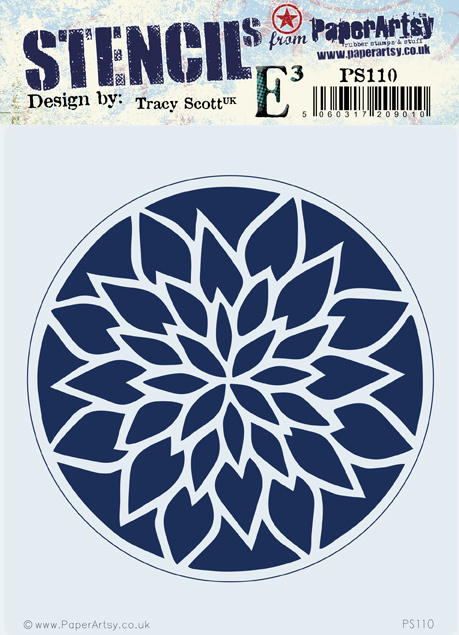 Next I decided to combine the large stencil with one of the smaller ones off PA Stencil and Mask 111 by Tracy (PS111). To begin I repeated the process as above but this time with PaperArtsy Fresco Acrylics Pine Grove and Sea Glass. My third layer was with the smaller stencil and the lighter colour of Eggshell. 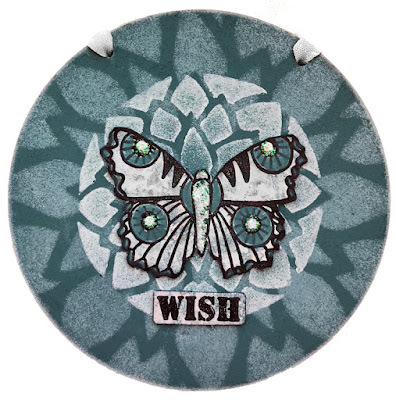 A different butterfly off the stamp set this time and a word from Lin Brown's stamp set ELB29. 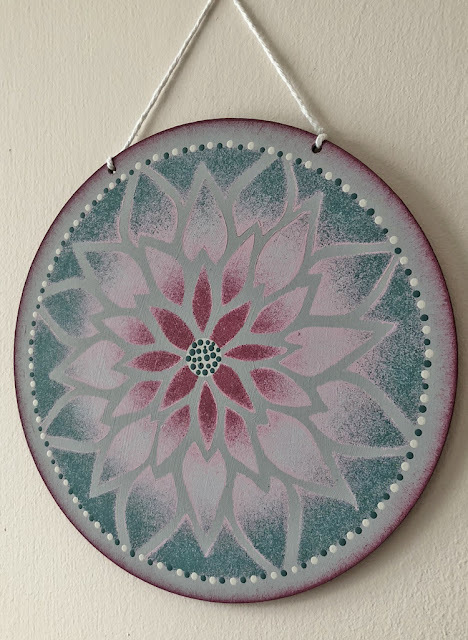 I was enjoying stencilling on this surface so I took a large MDF circle - this time 15cm diameter and got a bit more daring with my colours! I added PaperArtsy Fresco Acrylic in Koala to the surface before laying PA110 over the top. Within the stencil I sponged Blah-Mange all over before carefully sponging Mulled Wine in the middle and Pine Grove towards the outside. A little added colour to the edge of the MDF and some dots using the end of my paintbrush finished this one. I do love stencils and masks whether to use for the full image or just partially! 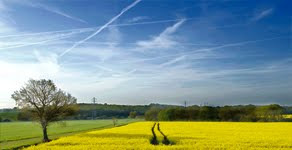 I can see these being reached for on many occasions for backgrounds and focal images. 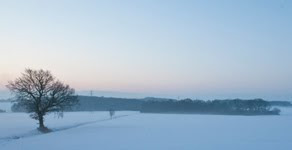 The paint colours are a joy and I am wondering how Mulled Wine and Pine Grove might work for Christmas themed projects! Beautiful blending and colour-combining, Nikki - showing such skill with the paints. Those stencils look fabulous and I love the sparkly butterfly. Wow what amazing stencil work and the most fabulous colours. 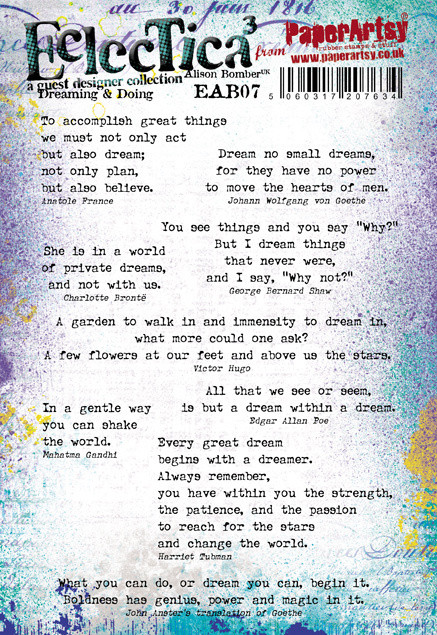 Terrific inspiration, Thank you x.